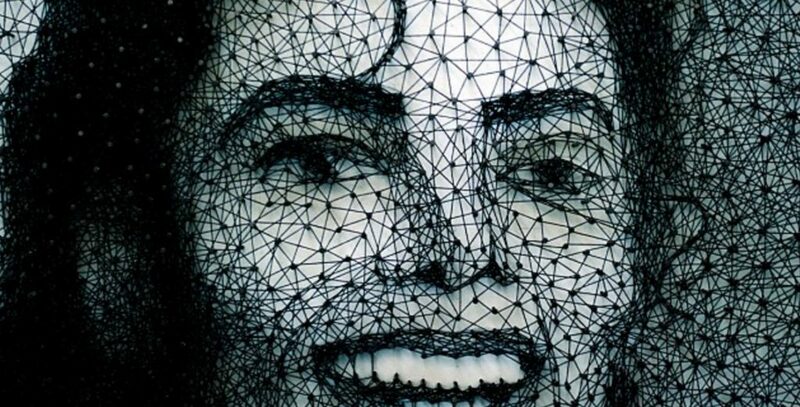 A Ukrainian born artist creates an amazing piece of Michael Jackson artwork by simply using some nails and some string, but that’s an understatement. 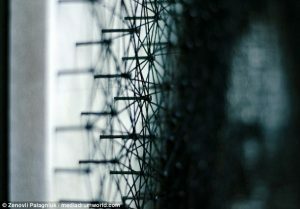 Zenovii Palagniuk, who is 21 years old, created the amazing piece of artwork using about 15,000 nails and a lot of string. The end result of his endeavor was a truly remarkable portrait of the late Michael Jackson. The video below shows exactly how the young artist was able to create the masterpiece, and you can watch it all in time lapse. While the video shows you the creation of the portrait in less than what is 2 minutes, the entire project took Zenovii 3 about months to complete. According to the Daily Mail, Zenovii had the following to say when asked about why he chose this particular portrait, or what was the inspiration for this piece. It was made in loving memory of a person who brought beautiful music in our life. Personally, when looking at something like this you would imaging that you would have to start with a drawing of some sort. However, seeing that it took Zenovii 3 months to finish this piece of work, it is anyone’s guess. Check out the video and watch him create it from start to finish.